What’s the best way to find a tenant for your rental property you ask? Well, since establishing our online agency in 2008 we’ve seen the private rented sector evolve considerably. Self managing landlords in their thousands are embracing the internet as the best way to find a tenant. You could advertise on notice boards to find a tenant however, you’re likely to get more interest finding a tenant online. We can help you find a tenant online by simply advertising your property on Rightmove, Zoopla and Primelocation from £99 inc vat. Visit our lettings packages comparison page to find out more or call 0333 577 8888 and speak to a real life online letting agent. High street letting agent – Typically, this is the most traditional of methods to find a tenant and in most cases, the most expensive option. A ‘high street agent’ would essentially advertise on Rightmove, Zoopla and/or Primelocation and in their shop window. They usually conduct viewings (unless the landlord prefers to) and they will charge the landlord anything from 1 month’s rent for a Tenant Find service up to 18% (in London) on a monthly basis for property management. Of course, you may be able to negotiate these fees. The biggest benefit to this method of finding a tenant is that the property should be advertised on the big property websites. Newspaper and classifieds – Has died a slow death over the years however, there are still a handful of landlords using their local classifieds / newspapers to find tenants. The price can range from free to up to £10 – £15 per line of text… you’ll need around 3 / 4 lines at least! There may be an extra charge to add in a colour photo! Post offices and corner shops – Yes, I still see the odd advert placed on the notice board at my local post office… unfortunately it is dated back to 2012, so I’m guessing the property has now been let. Most local shops / post offices should post an add for you for free however, you may need to book a space in advance and it may be for a limited time only. Company notice boards – I’m a fan of this method to find a tenant, especially if you work in a company with hundreds of employees. Our local Jaguar Land Rover site seems to have a pretty deep pool of tenants as the company is continuously on a recruitment drive. The downside to this of course is now you are going to have to see your tenant at work… that could become a little awkward. Word of mouth – Tell everyone that you need to find a tenant for your rental property. Someone will know someone, who’ll know someone else looking for a property. According to Facebook research, each person in the world is connected to every other person by an average of three and a half other people. To-Let sign – These do work, especially if you have a property that is located on a busy street in terms of traffic and footfall. When a To-Let sign is erected outside one of our properties, we see at least a third more enquiries being generated. Social media – As with word of mouth above, ‘posting’ your property on your social media networks such as facebook, twitter and perhaps linkedin and asking your friends and followers to ‘re-post’, ‘tweet’ or ‘share’ may help to spread the word. Here’s how one landlord saved thousands on letting fees by using social media to find a tenant. Ask your current tenant – Seems obvious however, is often forgotten. Most outgoing tenants are happy to try to help their landlords find a tenant replacement – mostly because they are eager to get their deposits back in full – you scratch my back and I’ll scratch yours. Some tenants are even happy to carry out viewings for you. 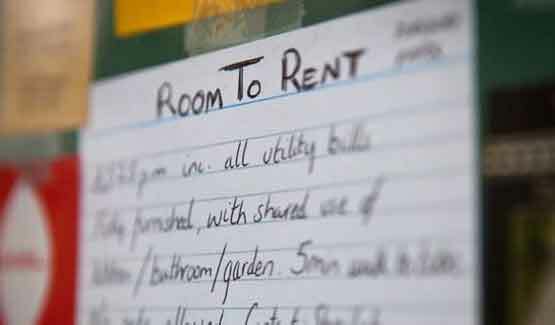 Councils – Your local council may have a list of tenants in need of accommodation. If you do decide to let to council tenants or tenants in receipt of universal credit, you’ll need to make sure your mortgage lender has not imposed any restrictions on the type of tenant you cant let to. Online letting agents – We may be biased however, we believe that using an online letting agent to find a tenant is hands down the best way to find tenants fast. It is the most cost effective method, get’s your properties listed on all the major property websites where tenants are actively seeking and, for those landlords just starting out, you can get the full support of a high street letting agent which includes a rent collection service to make sure that you dot the i’s and cross the t’s. I recall dealing with our very first landlord Judith Bailey who was, in fact, looking for tenants by advertising her rental property in the back of a local newspaper. Now, back in 2008 this was a cost effective way of renting out a home, but we wanted a pioneering landlord who would take a chance with us – and with a little persuasion, that’s exactly what she did. We convinced Judith to ditch paper advertising and an ineffective high-street agent and use the relatively untapped yet cheaper world of online. Thankfully, she did just that and never looked back. Judith Bailey and her tenant Jamie. 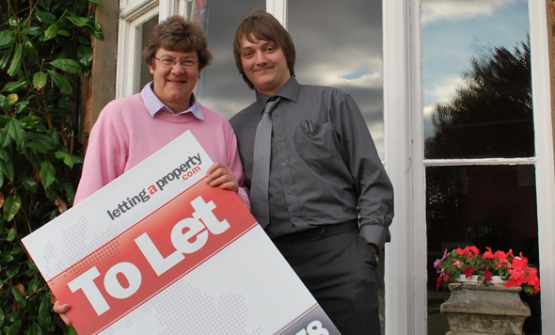 Judith is a pioneering landlord and found the best way to find a tenant was via our online letting agency! Whilst we recognise that Judith broke away from the mould, she said to us years later that the money she saved by finding tenants online meant that she was able take a two-week getaway with the savings that she had made. As the popular phrase goes, ‘every little helps’ – this, combined with the ability to organise tenancy agreements, rental insurance, EPC [energy performance certificate] and gas safety certificate under one roof and for far less money than a high-street agent, is what has helped to convince so many landlords to turn their back on the more traditional methods. Mr Patel, another satisfied landlord, was delighted with his choice of using an online letting agent and the considerable savings he made on his lettings fees. So much so, he was able to update his home cinema system and sent us over this pic to say thanks! We love it! 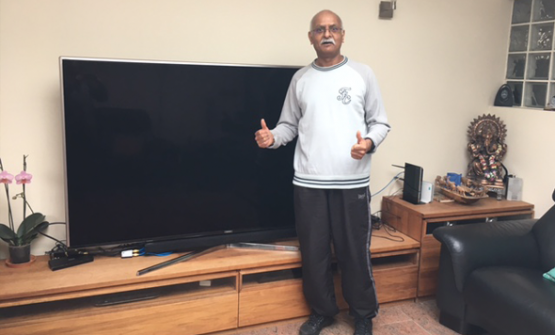 Mr Patel, who signed up to our guaranteed rent package, was so pleased with the savings he made that he upgraded his home cinema system! Many also agree that a big draw back with the high street is that typically their offices close at 5.30pm, Monday-Friday and in today’s world of 24/7 communication we know that this is no longer a sustainable business model. As a nation, we expect round-the-clock service with almost everything, and because our landlords have complete control of their viewings any time of the day or night, this is exactly what so many of they want, rather than having to rely on one of many middle men who clock off at 5.30pm. It’s clear that the online world is spearheading and revolutionising the rental sector in a way in which it has done for the travel, shopping and energy sectors, and this digital steam train isn’t slowing down any time soon. In fact, it will soon reach a stage where, if you don’t embrace online, you’ll lose out – both in time and money. In the media, we’re bombarded with words such as ‘prop-tech’ and ‘disruptor companies’ – we’re pleased to be a part of this revolution of course, but away from the buzz words, we like to keep things friendly, approachable and simple. Although we don’t have a shop front, our unique selling point is our team and the values we work to as a company; innovative, helpful, knowledgeable, supportive and straightforward are just a few of them and in an industry that is tarnished by a failed service culture, it’s nice to be spearheading the new generation of online lettings agents with a service that goes above and beyond the norm. We’re pleased as punch to have over 400 glowing reviews for our service and a 99.8% positive feedback on a Review Centre website. So, as we see the sun setting on notice boards and back-of-the-newspaper advertising, we’re looking forward to bringing even more landlords with us on a new journey…where the skies of the lettings market are bright, beautifully simple and cost effective. If you’d like to talk to someone about the best way to find a tenant, give us a call on 0333 577 8888 and a member of our landlord team will be more than happy to help! We can also talk to you about your requirements for landlord registration, mandatory and selective licensing. Download our 30 point checklist for landlords. It’s packed with information to help you find a tenant online. Take a look at when is the best time of year to let a property and work out how much rent you should charge. What's the best way to find a tenant for a rental property? Read the 10 best ways to find a tenant from using a high street agent to online letting agents. Hey! this is a great way defined by you to find a Tenant. Great article, thanks for sharing! I’ve used you before to find a tenant and the service was excellent and fantastic value for money! Keep up the good work!